This stunning photograph captures racing legend Dave Molyneux in action at the 2009 Isle of Man TT. 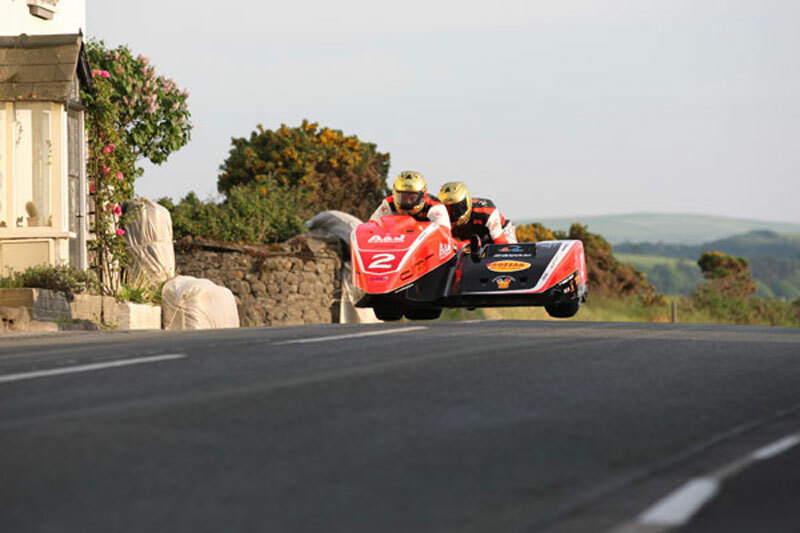 Manxman Moly, with passenger Dan Sayle, stormed to an amazing 14th TT victory – the most ever scored by a sidecar driver and an equal tally to solo legend Mike Hailwood – during TT 2009. This spectacular image shows the outfit of Molyneux and Sayle leaping into the air as they pass through Rhencullen, with the sun glinting off their bright machine and golden helmets. The picture was captured by respected road racing photographer Dave Kneen, of manxphotosonline.com.